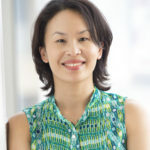 A/Professor Rebecca Lim is a Deputy Centre Head of The Ritchie Centre where she leads the Regenerative Medicine and Cellular Therapies Theme. She holds a joint appointment with the Department of Obstetrics and Gynaecology, Monash University. 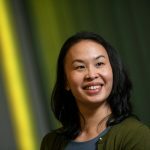 She has been a Chief Investigator on seven federally funded National Health and Medical Research Council grants and attracted over AU$4 million in competitive funding since 2010. She is a CI on two registered cell therapy clinical trials where her basic scientific research is being translated to the bedside. Her research is focused on translating discoveries around regenerative medicine and cell therapies to clinically useful outcomes. In recent years, her team has uncovered key immunological events that are critical to the success of amnion cell mediated lung repair in the settings of adult and neonatal lung disease. 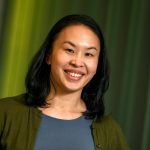 A/Prof Lim’s team has shown that amnion cells trigger endogenous repair processes by activating the adult stem cell niches and recruiting distal progenitor sites to the area of injury to aid repair. She is interested in the impact of ageing on endogenous stem cells and how they interact with the innate immune system during injury and wound healing. 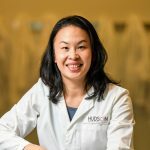 Her work has recently extended into the area of extracellular vesicle research where she is investigating the regenerative potential of stem cell derived exosomes. She is an inventor on two patents in this area. Her work has been showcased at the BIO SPARK Showcase in 2016 and has been attracting significant investor interest. Murphy SV, Reid T, Atala A, Wallace EM, Lim R (2014) Isolation, cryopreservation and culture of human amnion epithelial cells for clinical applications. Journal of Visualised Experiments. Accepted 16th May 2014. Zhu D, Wallace EM, Lim R (2014) Cell-based therapies for diseases of prematurity. Cytotherapy. Accepted 30thJanuary 2014. Lim R, Tan JL, Wallace EM (2013) Cell Therapies For Lung Disease. In: Gene and Cell Therapies, 4th Edition. Edited by Templeton, N. S. Taylor & Francis Group, CRC Press. Lim R, Chan ST, Tan, JL, Murphy SV, Mockler JE, Wallace EM (2013) Preterm human amnion epithelial cells have limited reparative potential. Placenta 34: 486-492. Vosdoganes P, Lim R, Kouleava E, Chan ST, Acharya R, Moss TJM, Wallace EM (2013) Human amnion epithelial cells modulate hyperoxia-induced neonatal lung injury in mice. Cytotherapy 2013 Apr 30. doi:pii: S1465-3249(13)00452-0. 10.1016/j.jcyt.2013.03.004. Tan JL, Chan ST, Wallace EM, Lim R (2013) Human amnion epithelial cells mediate lung repair by directly modulating macrophage recruitment and polarization. Cell Transplantation. Epub ahead of print. 2013 Jan 2. Lim R, Milton P-L, Chan ST, Acharya R, Murphy M, Jenkin G (2013) Human mesenchymal stem cells reduce lung injury in immunocompromised mice but not immunocompetent mice. Respiration. 85 (4):332-41. Murphy S, Lim R, Heraud P, Cholewa M, Le Gros M, de Jonge MD, Howard DL, Paterson D, McDonald C, Atala A, Jenkin G, Wallace EM (2012) Human amnion epithelial cells induced to express functional Cystic Fibrosis transmembrane conductance regulator. Plos One 7(9):e46533. doi: 10.1371/journal.pone.0046533. Epub 2012 Sep 28. Vosdoganes P, Lim R, Moss TJM, Wallace EM (2012) Cell Therapy: a novel approach in the treatment of bronchopulmonary dysplasia. Pediatrics 130(4):727-37. Hodges R, Vosdoganes P, Westover W, Moss TJ, Alison B, Hooper S, Miller SL, Lim R, Dickinson D, Wallace EM (2012) Human amnion epithelial cells reduce ventilation-induced preterm lung injury in fetal sheep. Am J Obstet Gynaceol 206(5):448.e8-15. Epub 2012 Mar 7. Vosdoganes P, Wallace EM, Chan ST, Acharya R, Moss TJM, Lim R (2012) Human amnion epithelial cells repair established lung injury. Cell Transplant. 2013;22(8):1337-49. doi: 10.3727/096368912X657657. Epub 2012 Oct 4. Murphy S, Lim R, Dickinson H, Rosli, Acharya R, Jenkin G, Wallace E (2011) Human amnion epithelial cell prevent bleomycin induced lung injury and restore lung function. Cell Transplantation 20(6): 909-923. Vosdoganes P, Hodges RJ, Lim R, Westover AJ, Acharya RY, Wallace E (2011) Human amnion epithelial cells as a treatment for inflammation induced fetal lung injury in sheep. American Journal of Obsterics and Gynaecology 205 (156): 26-33.